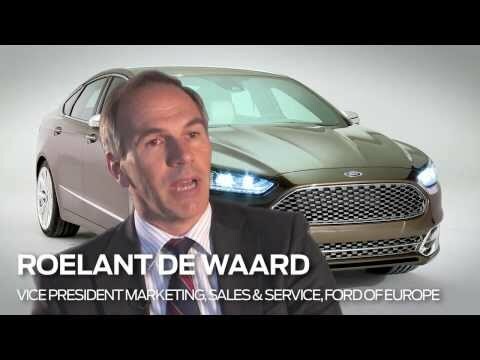 Ford vehicles have been developed to provide excellent quality and comfort however, the introduction of the new Vignale range brings an exceptional new level of prestige and premium quality to our Ford customers. As a Vignale owner, you will get to appreciate the exceptional levels of quality never before seen on a Ford vehicle. The materials, the craftsmanship, the design and the service have all been enhanced and brought to the new Vignale level. Only a select few vehicles will be given this exquisite treatment, adding a higher trim level with more luxury and more technology than ever. You as a Vignale customer will also receive care and attention at the same level as the vehicle, with an exclusive relationship manager, VIP waiting areas and additional customer service features giving you the ultimate Ford experience designed to exceed your expectations and deliver a premium luxury lifestyle with your Ford Vignale vehicle. When you first look at your Vignale vehicle you will instantly be aware of the heightened quality, both in terms of the design and build as well as the preparation and finish of the delivered model. The exterior design whilst based on an original model, such as the Ford Mondeo, has received a number of enhancements making it clear that it is a Vignale. The front grille has a dynamic and signature hexagonal shape which is unique to the Vignale range. The large special edition alloy wheels complete with premium finish add extra flare and are another indication that the vehicle in front of you is Vignale. Subtle Vignale badges are placed at various locations on the exterior bodywork including front quarter panels and the rear of the vehicle, helping to quietly identify the vehicle as part of the luxurious new Vignale edition. Inside your Vignale you’ll see the same premium levels of quality materials, craftsmanship and design. Each and every journey you make in your Vignale will be exquisite, giving you the opportunity to appreciate the variety of subtle design attributes that add style and prestige to your interior, clearly making it Vignale. Unique hand crafted Windsor leather is used for the majority of the interior, as all the seats are fully leather and large portions of the dashboard and door trims have also been made using this excellent leather. The seats themselves have been carefully crafted to provide extensive ergonomic support for your back and lumbar. The soft supportive cushioning provides a comfortable seating position making even long journeys enjoyable. The seats also have another signature Vignale style feature as a matching hexagonal shape is incorporated which mirrors the front grille. A key feature is the centrally positioned colour touch screen which is mounted into the central panel. This interface is used for all on-board systems which includes SYNC3 technology allowing you to integrate your smart device for additional features such as media playback and telephony.